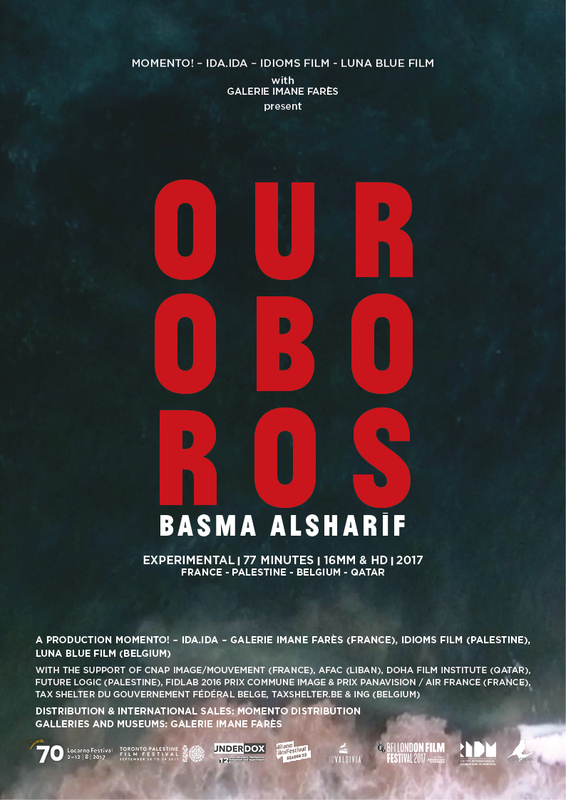 Ouroboros is acclaimed visual artist Basma Alsharif's first feature film. This experimental film is an homage to the Gaza Strip and to the possibility of hope based on the eternal return. The film follows a man through five different landscapes, upending mass-mediated representation of trauma. A journey outside of time, marking the end as the beginning, exploring the subject of the eternal return and how we move forward when all is lost. Ouroboros is an homage to the Gaza Strip based on the eternal return. Ouroboros follows a man through five different landscapes, upending mass-mediated representation of trauma. A journey outside of time, marking the end as the beginning, exploring the subject of the eternal return and how we move forward when all is lost. The film moves through seven discrete segments, all but the last titled with a time of day: a prologue (dawn) and epilogue (dawn) set in Palestine; four chapters following a nameless man (played by Italian artist and filmmaker Diego Marcon) from Los Angeles (noon) through Matera in Southern Italy (dusk); the California desert (twice named: night, briefly, then dusk again); a sprawling Breton chateau (noon); and finally a musical coda à la Claire Denis’ BEAU TRAVAIL (1999), which both condenses and explodes everything that came before it. Palestine is both here, onscreen, as occupied land and in these other spaces, each of which draws out some array of concerns regarding the idea of Palestine. Given that Alsharif makes herself responsible at every turn for the relationship between her own images and the entire history of global-image culture, it will be necessary to return to the question of pictures of violence and suffering, even as they remain largely absent from her work. [...] Thus Palestine is both here, onscreen, as occupied land and in these other spaces, each of which draws out some array of concerns regarding the idea of Palestine. Basma Alsharif has garnered attention worldwide for her installations and shorts over the last few years. Her work invites the viewer to re-think the depiction of language, time and space, and to re-experience the understanding of creating images and telling stories.